New York subway riders bring out their creative side after MTA sets new rules for animals on the subway. 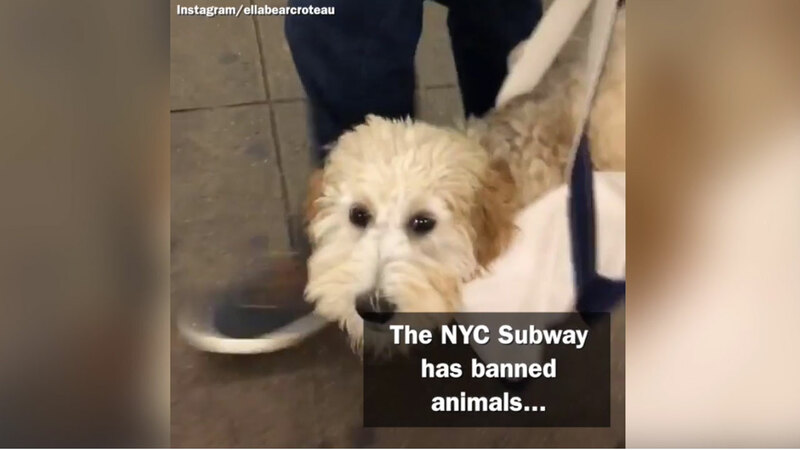 The Metropolitan Transit Authority recently set some new guidelines when it comes to bringing animals on the New York City subway. The guidelines state that "no person may bring any animal on or into any conveyance or facility unless enclosed in a container and carried in a manner which would not annoy other passengers." The people of New York took this as an opportunity to bring out their creative side. Luckily, just about any size dog can fit into a bag or container. Since the ruling, people have begun sharing photos on social media of the dogs that they have come across on the subway, and the photos do not disappoint.